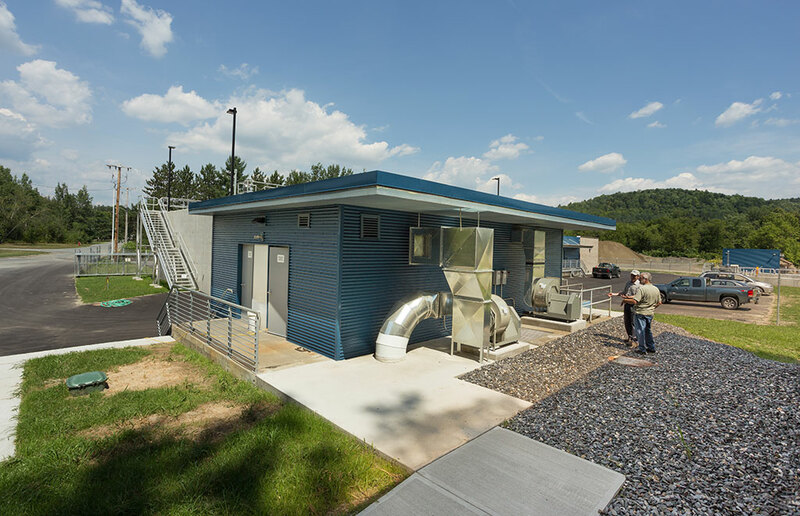 The Town of Randolph, Vermont, officially opened their new wastewater treatment facility at a ceremony on September 1. The facility and treatment process replaced a 40-year facility that had reached the end of its useful life. The construction, which began in 2013, was funded by $8.8M of Federal grants and loans through USDA Rural Development. 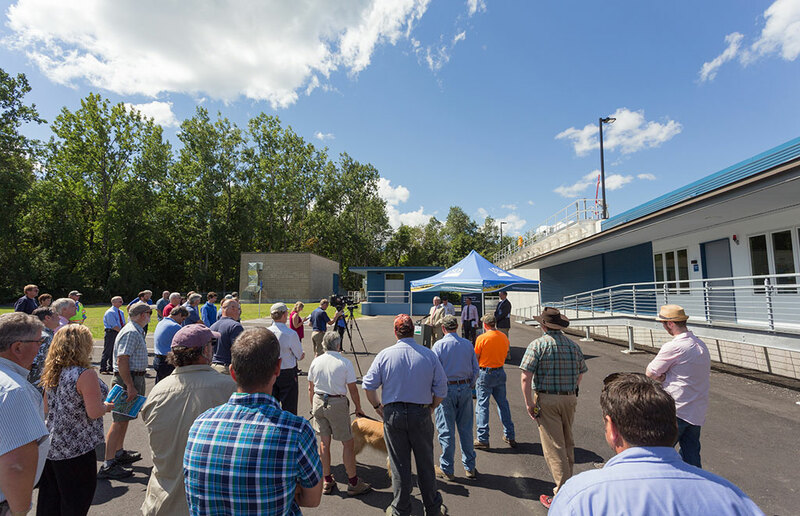 Ted Brady, USDA Rural Development State Director for Vermont and New Hampshire, joined town officials and community members to celebrate the completion of the project. Brady noted that USDA Rural Development funded this project through its Water and Environmental Program that provides support to municipalities that seek to improve the water, wastewater and stormwater infrastructure serving their communities. DuBois & King engineers began design on the project in 2010. The new facility is one of the first in Vermont designed to comply with new state and federal requirements to reduce the amount of nitrogen discharged to the Connecticut River. The new facility will retain the existing permitted capacity of the previous facility and will serve 2,000 homes, community institutions, and the Vermont Technical College and a new senior living campus located in nearby Randolph Center. Wastewater treatment will be accomplished using Sequencing Batch Reactor (SBR) technology. As cost saving measures, the design included reuse of existing infrastructure from the previous facility. An inverted siphon was designed to convey 40% of the total wasterwater flow entering the WWTF, eliminating pumping and reducing long-term operating costs. An existing pump station serving a portion of the collection area was downsized as a result of rerouting the majority of flows through the siphon, further reducing energy costs.